One of the most gratifying parts of Haitian Hearts is seeing our patients, who were sick and sometimes near death, go on to have full, productive, happy lives. Please read about our inspiring Haitian friends! Though Caleb and Fastina were both born in Haiti, they didn't know each other or even live in the same town. But when they were children, they both developed serious health problems. On separate occasions, Dr. John brought them to the United States. 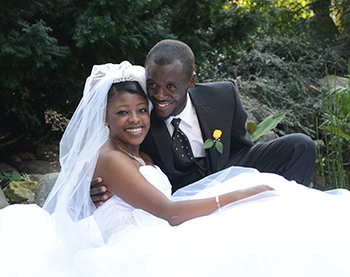 Caleb had a tumorous condition and Fastina needed heart surgery. 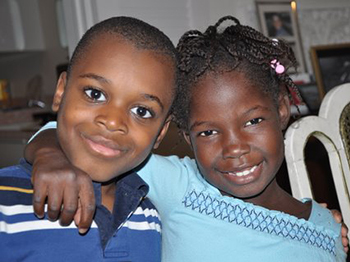 They were both successfully treated and both returned to their families in Haiti. Several years later, their health problems reoccured and Dr. John once again found medical centers to treat them. On this second and final trip to the United States, Caleb and Fastina met each other and the rest is history...matrimonial history. They were married on August 24, 2013! It took us seven years to find a hospital and bring Widnerlande to the United States. Between hurricanes, the earthquake, and the cholera outbreak, her mother did well to keep her alive. Widnerlande finally had her much needed surgery in Sacramento, California. She is now a thriving third grader and the sky's the limit! Suze - Like many Haitian Hearts patients, Suze had heard of Dr. John's success in bringing people to the United States, and sought him out. One day, she appeared at the guest house where John was staying, short of breath with a loud heart murmur. Suze's heart was damaged by rheumatic heart disease, an illness of the past in the United States. At some point in her youth, Suze contracted strep throat. Because of the lack of medical care, including inexpensive antibiotics, in Haiti, Suze never received treatment for her strep and it developed into rheumatic fever, which seriously damaged her heart valves. By the time Suze saw Haitian Hearts, she needed a new heart valve. After many months of searching, Haitian Hearts found a medical center and surgeon in Provena St. Joseph Medical Center and Dr. Bryan Foy willing to operate on Suze. Suze journeyed to the United States together where her surgery to replace her diseased valve with an artificial St. Jude valve was a resounding success. When Suze arrived in the United States, she was not able to walk down a hallway without frequent rests. Afterwards, as she put it, "I am having success dreams." 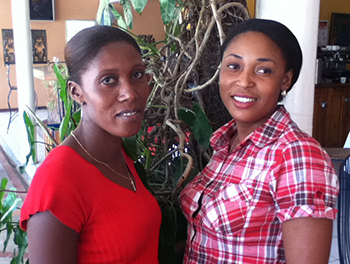 Suze is pictured above on the right with another Haitian Hearts patient, Katia. Miterlande - Miterlande's sister brought her from the countryside into Port-au-Prince to see Dr. John. Miterlande had been told that she had a heart problem, a problem John was able to confirm with an echocardiogram done in Port-au-Prince. Miterlande was accepted at Provena St. Joseph in Joliet and had surgery in 2008 which fully corrected her heart problem. She is now working hard in school and her beautiful smile continues to shine. 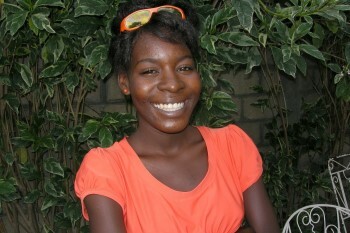 Christelle - A former Haitian Hearts patient brought three-year-old Christelle to us. She had a congenital heart defect called a PDA. The good news is that this defect can be repaired without open heart surgery. The bad news is that there is no place in Haiti that does this kind of repair. Fortunately, Christelle was accepted by Cardinal Glennon Children's Hospital in St. Louis. She had her PDA closed in cardiac cath lab and was up playing the next day. She continues to grow and do all the things that healthy children can do. Dr. John first met Luckner at a cholera treatment center. Luckner wasn't suffering from this potentially deadly disease, but he did have another life-threatening problem: aortic valve disease. Our friend Dr. Bryan Foy who has operated on several Haitian Hearts patients, accepted Luckner and he had his valve replaced in Naperville at Edward Heart Hospital in 2012. 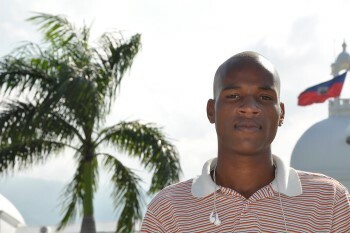 Luckner lives in Port-au-Prince, where he has a full life ahead of him! 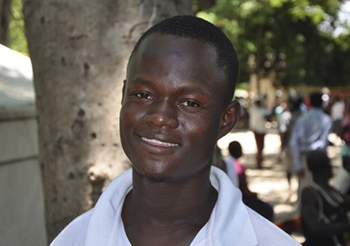 Frandy is a young man with a dream and that dream is attending college in the United States. But before this dream could become a possibility, Frandy needed medical attention for his congenital heart defect. Haitian Hearts brought him to St. Louis Children's Hospital where he received medical treatment but thankfully did not need surgery. Upon his return to Haiti, he graduated from high school and after much effort was accepted by a college in the United States. Through the generosity of his host family, Jim and Jane Ebel, Frandy is now attending college in Illinois. Katina is a very intelligent little girl from a loving family, who has battled serious health problems. Besides her heart defect, she also has sickle cell anemia. She recently made her second trip to the United States for heart surgery. Haitian Hearts continues to follow and treat patients after their surgeries, providing them when necessary with medicine and diagnostic treatment. In Katina's case, this proved life-saving as she needed additional surgery. In 2009, she had surgery at Cleveland Clinic. 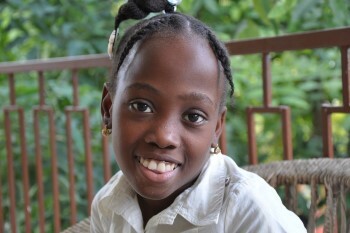 With her healthy new heart, her overall health is greatly improved and Katina laughs and plays like any other child. Maurico - In 2007, John received a desperate phone call from a Haitian-American in Boston. He had a friend in Haiti, who had a baby with a serious heart problem. On John's next trip, 9-month-old Mauricio's parents brought him to see John. 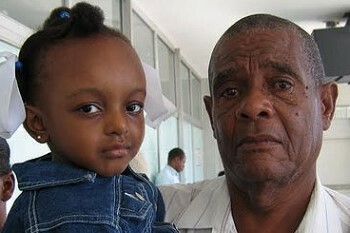 The heart problem was confirmed and Haitian Hearts presented Mauricio's case to St. Louis Children's Hospital and offered $10,000 to help pay for his care. Mauricio was accepted, traveled to St. Louis with his mother, and sailed through open heart surgery. 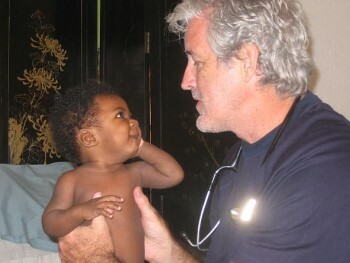 He was out of the hospital in a week and is now growing and thriving with his family in Haiti. Please visit our "Live from Haiti" blog for more information about Haitian Hearts stories.